WP RSS Aggregator is a freemium based WordPress plugin designed to provide your website with a “regular flow of fresh and relevant content”. However, adding unlimited number of RSS feeds to your website, placing them in pages, posts, or even a custom post type using a simple shortcode, and configuring the type of content you want displayed on your website for readers to enjoy is just the beginning. Today we are going to look at how to build your very own sports news network website using WP RSS Aggregator to show you that this awesome plugin is more than just a simple content curation tool. One of the best ways to utilize the power of WordPress is to start a blog. And, with a blog comes lots of hard work, dedication, and of course killer content that is relevant to your target audience. That’s why today I am going to share with you a unique way to add lots of value to your already existing WordPress blog by adding related content from external sources to it via an RSS feed. Using the exceptional WP RSS Aggregator plugin created by none other than the talented Jean Galea of WP Mayor, this related content solution is sure to give your blog the boost it needs to build a larger following. 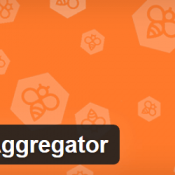 For those of you who don’t know, Jean Galea, the founder of WP Mayor, is also the brains behind WP RSS Aggregator – the #1 RSS aggregation plugin for WordPress. 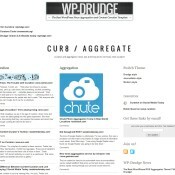 Now recently we also saw the release of a new WordPress theme aimed specifically at RSS aggregation, WP-Drudge. It’s a WordPress news aggregation and content curation template that coincidentally, works great with WP RSS Aggregator!